GeoHot, one of the fathers of the iPhone's jailbreak community, has just released the exploit that'll unleash all sorts of promising PS3 hackery, just like he promised. We can't wait for the homebrew and, frankly, piratical features this enables. 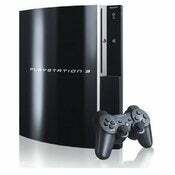 This is the coveted PS3 exploit, gives full memory access and therefore ring 0 access from OtherOS. Enjoy your hypervisor dumps. This is known to work with version 2.4.2 only, but I imagine it works on all current versions.